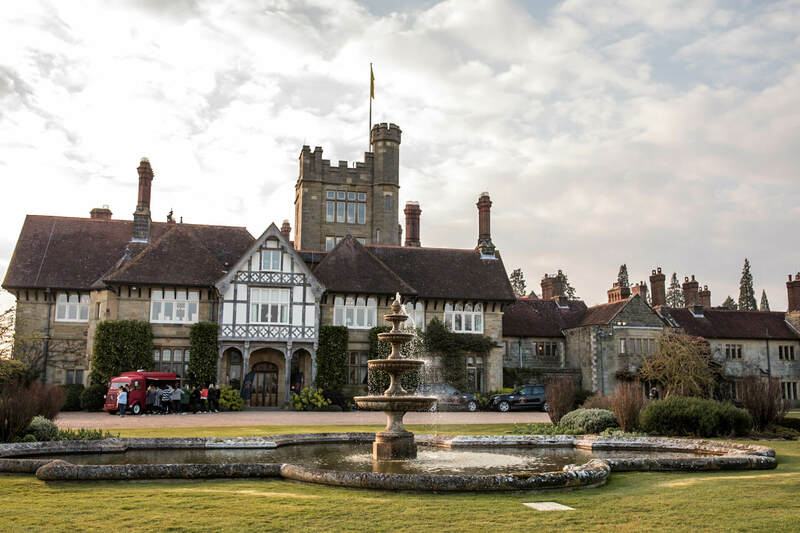 In Spring 2019 Moriarty organised a corporate away day and retreat to Cowdray House for a special selection of London’s top PA and EA’s. Despite being early April we were treated to the most glorious weather. On arrival we set off on a Bear Grylls Survival Activity- first up on our survival course we were taught how to work out the points of the compass via clocks and the position of the sun. After that we had an activity to search for an avalanche pack and finally we were tasked with putting up a tent, starting a fire and collecting water with any vessel we could find (a condom was the best - 3 litres...). Having built up an appetite we were treated to a delicious afternoon tea. Once we were refreshed we went back out for a spot of target shooting. Full of fresh air the group had some down time in the lounges and their beautiful bedrooms before the evening activities commenced. Working with some amazing suppliers, we pulled together and styled the most beautiful of evenings. The evening kicked off in the drawing room with drinks and canapés by the incredible Jacaranda. After that we moved into The Drawing Room where This Floral Life had designed the most spectacular floral display. 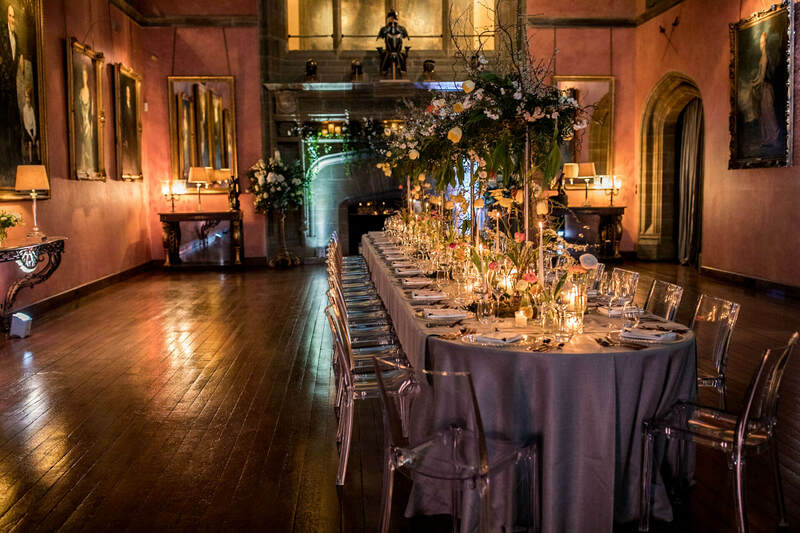 The styling looked incredibly striking in Cowdray Houses’ already impressive setting. 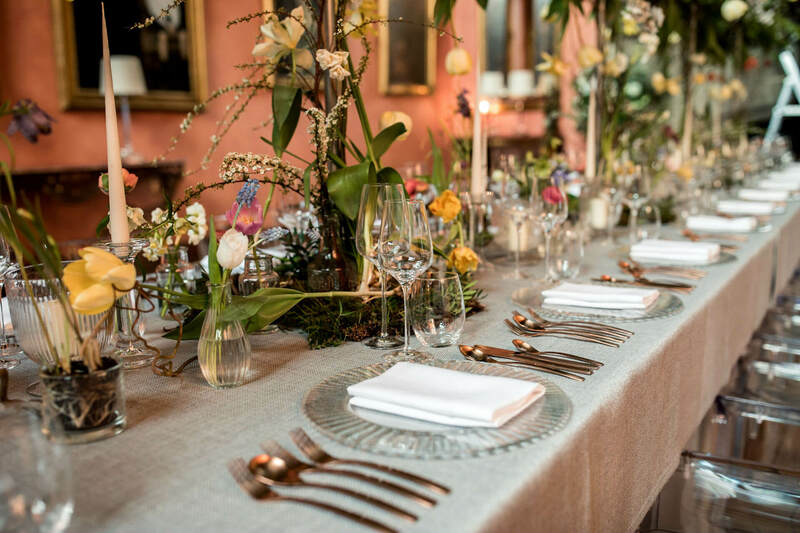 Styling this event was a complete joy and very easy in such a beautiful setting. The party ran into the early hours - the Espresso Martinis were flowing, everyone was dancing and there was even a spot of late night bowling at Cowdray Houses’ very cool bowling alley. With a few sore heads around the next day we had a very relaxed morning enjoying everything this stunning venue had to offer before heading back to the Big Smoke. 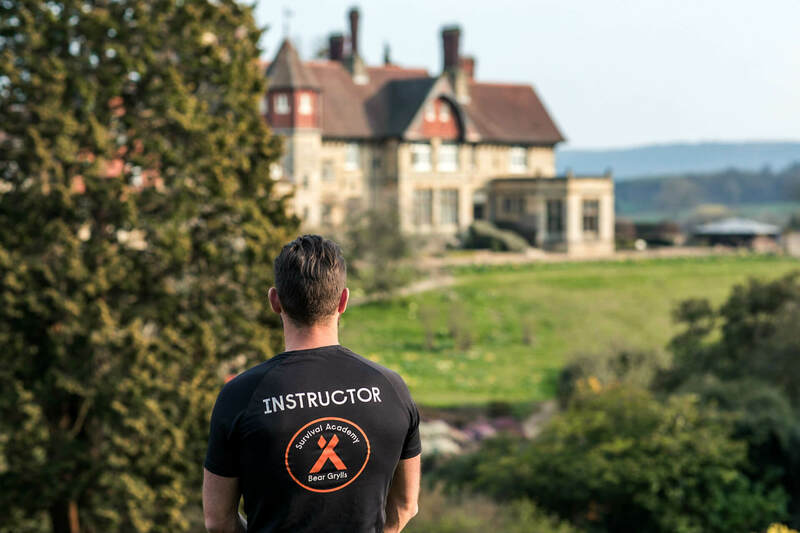 Huge thank you to Cowdray House for having us and to Jacaranda, Simon Grand, Bear Grylls Survival Activity Team and This Floral Life for making this away night everything we could have hoped for and more. Photography is by the very talented Stephanie and Nicole Photography. 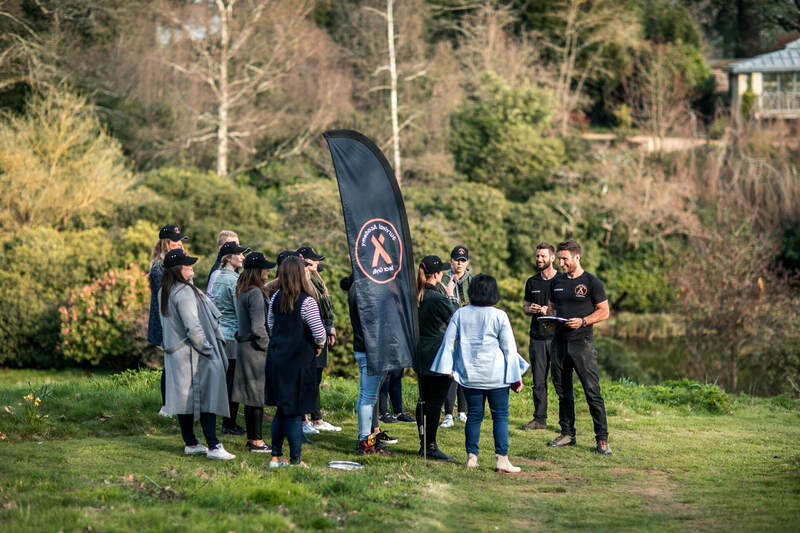 In Spring 2019 Moriarty organised a corporate away day and retreat to Cowdray House for a special selection of London’s top PA and EA’s. 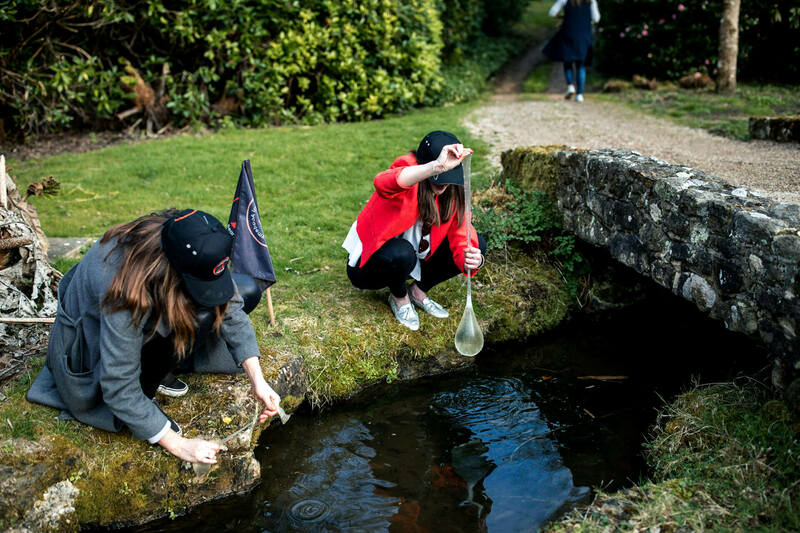 Set on a 2,000 acre estate in the heart of the Cotswolds, Cornwell Manor is the epitome of idyllic.